UN have raised concerns about Australian refugee camps. NEWS: Torture experts are seriously concerned about what's happening in Australia. 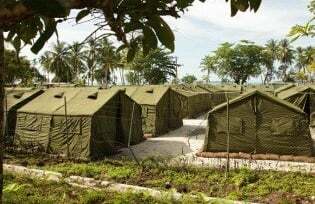 The United Nations Committee Against Torture has raised serious concerns about the Australian Government’s immigration policies and about conditions at offshore detention centres at Nauru and Manus Island. 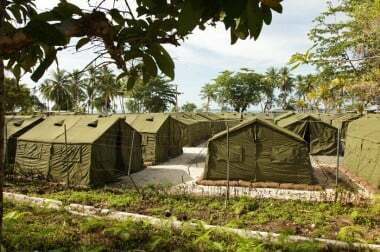 The committee meeting in Geneva has requested a response to criticisms made by Amnesty International and the United Nations High Commissioner for Refugees (UNHCR), which described Australia’s offshore detention centres as “cruel” and “inhumane”. The UN committee has also requested answers to allegations of sexual abuse and the death of Iranian detainee Reza Berati, why Indigenous people are severely over-represented in the country’s jails, and more information about the controversial new counter-terrorism laws. Committee chair Claudio Grossman raised the committee’s concern regarding Australia’s asylum seeker policies. “You [Australia] have the control and authority in the [detention] facilities. Australia pays the bills and administers the centres,” Mr Grossman said. “I understand that there are private contractors… that you hired. The head of the Australian delegation, John Quinn, told the committee that Australia took its obligations under the convention very seriously. “Australia welcomes the opportunity provided by this constructive dialogue with the committee over the next two days to reflect on progress achieved and consider possible areas for further improvement,” Mr Quinn said. Mr Quinn also told the committee the Government’s policy of offshore detention was aimed at preventing deaths at sea. “In response to increasing numbers of women, men and children lost at sea over recent years while seeking to come to Australia, the Australian Government has strengthened its policies to ensure the protection of migrants, including asylum seekers, and prevent their exploitation at the hands of people smugglers,” he said. 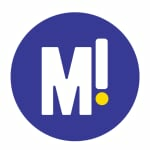 Non-government organisation (NGO) representatives said they were pleased the international spotlight was on Australia’s treatment of asylum seekers. Daniel Webb from the Human Rights Law Centre was part of a delegation of NGOs who briefed members of the UN committee last week. “I think it was pretty clear that the committee has got serious concerns when it comes to compliance with this important international human rights treaty,” he said. “Australia’s form is bad and, in fact, it’s becoming worse. “The committee was also quite clearly concerned that people are being locked up indefinitely in conditions that the UN refugee agency has repeatedly warned are cruel and inhumane and unsafe. The committee will continue to question the Australia delegation tomorrow and is expected to deliver its recommendations to the Government within weeks. The UN’s concerns come as Immigration Minister Scott Morrison announced he is setting up a team within his department to investigate and monitor abuse and misconduct by service providers contracted to run detention centres.